Crowd Ignition, Inc. Crowd Ignition.com (“Crowd Ignition,” “us,” “our” or “we”). Crowd Ignition, Inc. is affiliated to CrowdPay.us, Inc., CrowdPay is an intermediary technology platform (“Platform” or “Site”) that permits prospective investors to independently search and invest in securities offerings on the Site. By accessing the Site or using the services, website, applications and software provided through or in connection with the Site, including through a mobile device (the "Service") in any manner, you become a Crowd Ignition user (“User”). You acknowledge that Crowd Ignition is a not a broker-dealer, or investment adviser. Crowd Ignition is a funding portal registered with the US Securities and Exchange Commission (SEC) and a member of the Financial Industry Regulatory Authority (FINRA).CROWD IGNITION DOES NOT PROVIDE INVESTMENT ADVICE OR MAKE RECOMMENDATIONS. You agree that your Profile will be self-directed and that you are solely responsible for all purchases, orders, investment decisions and instructions placed in your Profile. Although the Site may provide data, information or content provided by third-parties or us relating to investment strategies and/or opportunities to buy and/or sell securities, you should not interpret any such content as tax, legal, financial, or investment advice by us or a recommendation by us to invest in any offering posted on the Site. Any decision to invest shall be based solely on your own consideration and analysis of the risks involving a particular offering and is made at your own risk. You acknowledge and agree that you are solely responsible for determining the suitability of an investment or strategy and accept the risks associated with such decisions, which include the risk of losing the entire amount of your principal. We have no special relationship with or fiduciary duty to you and your use of the Site or the Services does not create such a relationship. You agree and acknowledge that you are responsible for conducting your own legal, accounting and other due diligence review of the investment opportunities posted on the Site. You are strongly advised to consult a licensed legal professional and investment advisor for any legal, tax, insurance, or investment advice as the Site does not provide any of the foregoing advice or recommendations. CrowdPay.us, Inc. hosts two types of offerings, made under Regulation A and Regulation D. Crowd Ignition only hosts Regulation Crowdfunding offerings. Regulation A - These securities offerings are available to U.S. investors who are “accredited investors” as defined by Rule 501 of Regulation D under the Securities Act of 1933, as amended (the “Securities Act”) as well as non-accredited investors subject to certain investment limitations as set forth in Regulation A, as amended , under the Securities Act (popularly known as “Reg A+”). Regulation Crowdfunding - These securities offerings are available to U.S.accredited and non-accredited investors subject to certain investment limitations as set forth under Regulation Crowdfunding under the Securities Act. By registering with the Platform for purposes of subscribing to Regulation A securities offerings as a non-accredited investor, you represent and warrant that your investment in any Reg A+ offering posted on this site will not exceed the greater of 10% of your annual income or 10% of your net worth (excluding the value of your primary residence). YOU MUST MEET ONE OF THE ABOVE CRITERIA. WE ARE ENTITLED TO AND WILL RELY UPON YOUR REPRESENTATIONS. You agree that, should any material changes occur that might affect your status as an Accredited Investor, you shall immediately provide Crowd Ignition with notice in writing. Federal securities law requires securities offered or sold in the United States to be registered with the U.S. Securities and Exchange Commission (“SEC”), unless the offer or sale qualifies for an exemption. Crowd Ignition Crowdfunding Inc. hosts two types of offerings, Regulation A, as amended (“Reg A+”) and Regulation D. Crowd Ignition only hosts Regulation Crowdfunding offerings. Regulation A - The securities offered on the Site for have not been registered under the Securities Act , in reliance on the exemption promulgated under Regulation A, as amended by Title IV of the Jumpstart Our Business Startups Act 2012 (the “JOBS Act”), known as “Reg A+”. In a Reg A+ offering, Issuers may advertise or market their offerings via “testing the waters” communications to the general public, or pay third parties to do so, subject to certain conditions. Federal law requires that Issuers sell securities to Accredited Investors or Qualified Purchasers who represent they satisfy the investment status before accepting subscriptions, among other requirements. Users, whether Accredited Investors or Qualified Purchasers, agree to cooperate with any requests for additional information or documentation. Regulation D - Rule 506 of Regulation D is a "safe harbor" for the private offering exemption of Section 4(a)(2) of the Securities Act. Companies relying on the Rule 506 exemption can raise an unlimited amount of money. There are two distinct exemptions that fall under Rule 506 but Crowd Ignition only offers 506(c) offerings. Under Rule 506(c), a company can broadly solicit and generally advertise the offering, but still be deemed to be undertaking a private offering within Section 4(a)(2) if: The investors in the offering are all accredited investors; and the company has taken reasonable steps to verify that its investors are accredited investors, which could include reviewing documentation, such as W-2s, tax returns, bank and brokerage statements, credit reports and the like. Each Issuer is solely responsible for ensuring that its securities offering, including without limitation the use of the Site to offer and sell securities, the determination of whether an investor is an Accredited Investor and whether any investment complies with applicable state and Federal securities laws, rules and regulations. For both Regulation and Regulation D, each Issuer is solely responsible for ensuring that its securities offering, including without limitation the use of the Site to offer and sell securities, the determination of whether an investor is an Accredited Investor and whether any investment complies with applicable state and Federal securities laws, rules and regulations. Notwithstanding the foregoing, each Issuer is responsible for ensuring that any information it posts on the Site is complete, accurate and not otherwise misleading. Users of the Site acknowledge that Crowd Ignition is not liable to and will not verify or investigate the accuracy and completeness of the offering material and other information posted on the Site. Users understand, acknowledge and agree that other parties are relying on the statements made herein and that any willfully false statement is sufficient cause for removal from the Site, rejection of eligible investor status, along with other legal causes of action. You are strongly encouraged to contact each Issuer directly to discuss any questions regarding an offering or the business prospects of the Issuer. Regulation Crowdfunding - Title III of the JOBS Act added Securities Act Section 4(a)(6) that provides an exemption from registration for certain crowdfunding transactions. In 2015, the Commission adopted Regulation Crowdfunding to implement the requirements of Title III. A company issuing securities in reliance on Regulation Crowdfunding (an “issuer”) is permitted to raise a maximum aggregate amount of $1,070,000 in a 12-month period. Criteria for companies to list on Crowd Ignition: Company is currently operating in the US and has intention to raise capital for their business from the crowd; Company passes our due-diligence process before launching on Crowd Ignition; Company meets and additional requirements as identified by the SEC. Details listed here. All Bad Actors will be rejected. All companies that meet these criteria are able to conduct an offering on Crowd Ignition. The securities offered on the Site are only suitable for prospective investors who are familiar with and willing to accept the high risks associated with private investments, including the risk of complete loss of your investment. Securities sold through Crowd Ignition are not publicly traded and, therefore, are illiquid unless registered with the SEC. Securities will be subject to restrictions on resale or transfer including holding period requirements. Investing in private placements requires high risk tolerance, low liquidity need, and long-term commitments. Users must be able to afford to lose their entire investment. Investment products are not FDIC insured, may lose value, and there is no bank guarantee. The securities being offered have not been registered under the Securities Act, in reliance, among other exemptions, on the exemptive provisions of Reg A+ under Title IV of the JOBS Act. Similar reliance has been placed on apparently available exemptions from securities registration or qualification requirements under applicable state securities laws. Users must read each Issuer’s offering memorandum and transaction documents for more information and discuss any questions with each Issuer directly prior to investing. No assurance can be given that any offering currently qualifies or will continue to qualify under one or more of such exemptive provisions due to, among other things, the adequacy of disclosure and the manner of distribution, the existence of similar offerings in the past or in the future, or a change of any securities law or regulation that has retroactive effect. No governmental agency has reviewed the offerings posted on this Site and no state or federal agency has passed upon either the adequacy of the disclosure contained herein or the fairness of the terms of any offering. The exemptions relied upon for such offerings are significantly dependent upon the accuracy of the representations of the Users to be made to the Site and Issuers on the Site in connection with an offering. In the event that any such representations prove to be untrue, the registration exemptions relied upon by an Issuer in selling the securities might not be available and substantial liability to such Issuer would result under applicable securities laws for rescission or damages. These risks are non-exhaustive and are intended to highlight certain risks associated with investing in securities that are not registered with the SEC. WE STRONGLY ADVISE YOU TO CONSULT A LEGAL, TAX AND FINANCIAL PROFESSIONAL BEFORE INVESTING, AND CAREFULLY REVIEW ALL THE SPECIFIC RISK DISCLOSURES PROVIDED AS PART OF ANY OFFERING MATERIALS AND ASK THE ISSUER ANY QUESTIONS YOU MAY HAVE OR REQUEST ADDITIONAL INFORMATION. Crowd Ignition Crowdfunding Inc. receives no compensation calculated by reference to the purchase or sale of securities through the Site but receives fixed fees in cash and/or securities of an issuer for services provided for live offerings. Crowd Ignition Crowdfunding Inc. does not currently charge fees for companies that are “testing the waters” but may apply fees in the future. Crowd Ignition Crowdfunding, Inc. is not a registered broker-dealer, funding portal, investment adviser or investment manager, and does not offer investment advice or advise on the raising of capital through securities offerings. Crowd Ignition Crowdfunding, Inc. does not recommend or otherwise suggest that any investor make an investment in a particular offering. Crowd Ignition is a FINRA registered funding portal and receives compensation calculated by reference to the purchase or sale of securities through the Site for services provided for live offerings. Crowd Ignition is not a registered broker-dealer, investment adviser or investment manager, and does not offer investment advice or recommend or otherwise suggest that any investor make an investment in a particular offering. You represent and warrant that all information that you provide to Crowd Ignition or through the Site is accurate, complete and truthful. Crowd Ignition and its affiliates and agents are entitled to rely upon the information you provide as true, accurate and complete without independent verification. We reserve the right to suspend or terminate your Profile if any information provided during the registration process or thereafter proves to be inaccurate, not current or incomplete. The Site permits Users to independently connect with Issuers and subscribe in securities offerings. However, you are expressly prohibited from doing the following acts: (a) using the Site, or any services and or tools if you are temporarily, or indefinitely, suspended from using the Site, services or any tools; (b) collecting personal information about other Users; (c) interfering with other Users’ listings; or (d) posting false, inaccurate, misleading, defamatory, or libelous content on the Site. Crowd Ignition grants you a limited, revocable, non-exclusive, non-transferable license to view, copy and print content on the Site for personal, non-commercial purposes. Crowd Ignition grants the operators of public search engines a limited, non-exclusive, non-transferable license to copy materials from the Site for the purpose of creating publicly available, searchable indices of Site content. We reserve the right to terminate or limit your access to the Site and/or the licenses granted herein for any reason and in our sole discretion. You agree not to modify, damage, disrupt, disable, overburden, impair, alter or interfere with the use, features, functions, operation, security or maintenance of the Site or the rights or use and enjoyment of the Site by any other person or entity in any manner. You are prohibited from posting or transmitting any material on or through the Site that, in Crowd Ignition’s sole opinion, is or could be offensive, fraudulent, unlawful, threatening, disingenuous, libelous, defamatory, obscene, scandalous, inflammatory, pornographic or profane, or any material that could constitute or encourage conduct that would be considered a criminal offense, give rise to civil liability, or otherwise violate any law. Crowd Ignition will fully cooperate with any law enforcement authorities or court order requesting or directing Crowd Ignition to disclose the identity of anyone posting any such information or materials on the Site. Comments which attempt to collect personal information about other Users. Comments which include direct email addresses and suggest communication outside of the platform. To the extent permissible under law, Crowd Ignition assumes no liability or responsibility for any errors or omissions in the content of the Site. Crowd Ignition does not endorse or represent the completeness, reliability or accuracy of any content or information distributed through or accessed from the Site, and has not performed any investigation into such information. Crowd Ignition shall not be liable for any investment decisions made based upon such information. You agree that any reliance upon any content or information distributed through or accessed from the Site is at your sole risk. Crowd Ignition is entitled to rely upon the information provided by its Users. You acknowledge and agree that Crowd Ignition does not provide any representation, warranty or assurance that the offering on the Site are made in accordance with state and/or Federal securities law, including the exemption to the sale of unregistered securities and the prohibition against the general solicitation of unregistered securities. Each Issuer, and not the Site, is responsible for ensuring that any securities offering is done in accordance with state, Federal law and regulations promulgated by the SEC and FINRA. We make no representation or warranties regarding the legality or compliance of any offering. Crowd Ignition has not reviewed all of the links provided on the Site and is not responsible for the content of any off-Site pages. Clicking on hyperlinks and visiting any off-Site pages is solely done at your own risk. Pursuant to the Digital Millennium Copyright Act, 17 U.S.C. § 512(c) ("DMCA"), Crowd Ignition’s Designated Agent for notice of claims of copyrights infringement can be contacted at the addresses below. Please note that this procedure is exclusively for notifying Crowd Ignition and its affiliates that your copyrighted material has been infringed. The preceding requirements are intended to comply with our rights and obligations under the DMCA, including 17 U.S.C. §512(c), but do not constitute legal advice. It may be advisable to contact an attorney regarding your rights and obligations under the DMCA and other applicable laws. Allegations that other intellectual property right is being infringed should be sent to [email protected] Crowd Ignition may, in its sole discretion, terminate the accounts of those who are accused of copyright infringement or other intellectual property rights. You agree that Crowd Ignition may send communications to you via your mailing address, email, telephone or facsimile number provided by you on your Profile. You agree to notify us of any changes in your address or contact details. Crowd Ignition may also deliver information verbally. Communications shall be deemed delivered to you when sent and not when received. Your use of electronic signatures to sign documents legally binds you in the same manner as if you had manually signed such documents. The use of an electronic version of documents fully satisfies any requirement that such documents be provided you be provided to me in writing. If you sign electronically, you represent that you have the ability to access and retain a record of such documents. You agree that you are responsible for understanding these documents and agree to conduct business by electronic means. You agree that any information that you transmit to the Site or Crowd Ignition in any manner including, but not limited to, pictures, videos, questions, comments, suggestions, website addresses and links to other website/articles, etc. is non-confidential and nonproprietary and can be used by Crowd Ignition or its affiliates for any purpose. Crowd Ignition is free to use any idea, concepts, know-how, techniques, etc. contained in any communication to the Site of the Crowd Ignition for any purpose. Your use of the Site is solely at your own risk. To the fullest extent permissible by law, in no event shall Crowd Ignition, its affiliates, nor each of its affiliates’ directors, employees, managers, agents, contractors, partners, suppliers, or content providers be liable for damages under contract, tort, strict liability, negligence, or any other legal or equitable theory arising out of your access to, or use of, the Site. Without limiting the foregoing, everything on the Site is provided to you “as is,” “as available,” and “when available” without warranty of any kind, either expressed or implied, including but not limited to, the implied warranties of merchantability, fitness for a particular purpose, or non-infringement. Please note that some jurisdictions may not allow the exclusion of implied warranties or limitation of incidental or consequential damages, so some of the above exclusions may not apply to you. 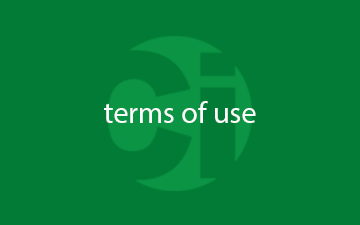 Check your local laws for any restrictions or limitations regarding the exclusion of implied warranties. Crowd Ignition assumes no responsibility for, and shall not be liable for, any damages to or viruses that may infect, your computer equipment or other property on account of your access to, use of, or browsing in the Site or your downloading of any materials, data, text, images, video, or audio from the Site. We do not, and cannot, guarantee that any Investor is actually an Accredited Investor (as defined above). Although Crowd Ignition may from time to time monitor or review discussions, postings, transmissions, and the like on the Site, Crowd Ignition is under no obligation to do so and assumes no responsibility or liability arising from such content nor for any error, defamation, libel, slander, omission, falsehood, obscenity, profanity, danger or inaccuracy contained in any information within such locations on the Site. Crowd Ignition reserves the right to remove any content from the Site or to restrict access to the Site for any reason without notice. The Site may contain links to third party websites (“Third-Party Sites”). These links are provided only as a convenience to you. The inclusion of any link is not and does not imply an affiliation, sponsorship, endorsement, approval, investigation, verification or monitoring by Crowd Ignition of any information, materials, products, or services contained in or accessible through any Third-Party Site. In no event shall Crowd Ignition be responsible for the information contained on any Third-Party Sites or your use of or inability to use any Third-Party Sites. You acknowledge and agree that Crowd Ignition shall not be liable or responsible, directly or indirectly, for any damage or loss caused or alleged to be caused by or related to the use of or reliance on any content, goods, or services available through any third-party website or resource. YOU AGREE THAT ACCESS AND USE OF THIRD-PARTY SITES, INCLUDING THE INFORMATION, MATERIAL, PRODUCTS, AND SERVICES ON THIRD-PARTY SITES OR AVAILABLE THROUGH THIRD-PARTY SITES, IS SOLELY AT YOUR OWN RISK AND DISCRETION. If you are located outside of the United States, you use or access the Site solely at your own risk and initiative. The Service is controlled and operated from facilities within the United States. Crowd Ignition makes no representations that the Service is appropriate or available for use in any other jurisdictions. Accessing the Service is prohibited from territories where the content on the Site is prohibited. Securities offerings are only directed at, or intended for purchase or investment by investors in jurisdictions that permit general solicitation of unregistered securities. In the event of any claim, controversy or alleged dispute between you and Crowd Ignition, its members or affiliates (“Dispute”), you hereby agree to attempt in good faith to amicably resolve any Dispute at least 30 days before instituting any legal proceeding. Each party agrees to submit any Dispute for resolution by final binding arbitration after serving written notice, which notice shall set forth in detail the controversy, question, claim or alleged breach along with your attempt to resolve such Dispute. Upon such notice and attempt to resolve, the party may then commence an arbitration proceeding either (a) pursuant to the rules of the American Arbitration Association (“AAA”) under its Commercial Arbitration Rules, before an arbitrator to be selected by the AAA or (b) with respect to offerings made pursuant to Regulation Crowdfunding where FINRA accepts jurisdiction over such arbitration, in accordance with FINRA’s arbitration rules Any such arbitration may only be commenced within one year after the party requesting arbitration obtains knowledge of the cause of action forming the basis of the controversy or claim accrued. In any arbitration and subject to the ultimate discretion of the presiding arbitrator, each side will be limited to a maximum of one day of argument (including rebuttal), and the parties agree in good faith to minimize discovery burdens (e.g. confine the scope to actual areas in dispute and limit the topics and number of pages on which information is requested to matters directly relevant). The decision(s) of the arbitrator shall be final and binding and may not be appealed to any court of competent jurisdiction, or otherwise, except upon claim of fraud or corruption as by law provided, provided, however, that implementation of such decision(s) shall in no way be delayed or otherwise impaired pending the outcome of any such appeal. Judgment upon the award rendered in such arbitration may be entered by any court having jurisdiction thereof. You agree that all Disputes will be limited between you, individually, and Crowd Ignition. To the full extent allowable by law, you agree that no arbitration proceeding or other dispute resolution proceeding shall be joined with any other party or decided on a class-action basis. Notwithstanding the foregoing, you agree that the following matters shall not, at the election of Crowd Ignition, be subject to binding arbitration: (1) any Dispute related to, or arising from allegations of criminal activity; (2) any Disputes concerning Crowd Ignition’s intellectual property rights; and (3) any claim for injunctive relief. All arbitration proceedings will take place in New York, United States of America. Any Dispute not subject to arbitration shall be decided by a court of competent jurisdiction within New york, New York. Each party hereby waives any claim that such venue is improper or inconvenient. Crowd Ignition reserves the right to assume, at its sole expense, the exclusive defense and control of any such claim or action and all negotiations for settlement or compromise, and you agree to fully cooperate with Crowd Ignition in the defense of any such claim, action, settlement or compromise negotiations, as requested by Crowd Ignition. Your use of electronic signatures to sign documents legally binds you in the same manner as if you had manually signed such documents. The use of electronic versions of documents fully satisfies any requirement that such documents be provided to you in writing. If you sign electronically, you represent that you have the ability to access and retain a record of such documents. You agree that you are responsible for understanding these documents and agree to conduct business by electronic means. You are obligated to review the Site periodically for changes and modifications and agree not to contest the admissibility or enforceability of the Site's electronically stored copy of this Agreement in any proceeding arising out of this Agreement. Although you consent to electronic delivery, you may elect to deliver communications by other means and such delivery shall not affect your consent. You may revoke consent to electronic delivery of communications and receive a paper version at your election. Crowd Ignition shall have a reasonable period to effect such a change and Crowd Ignition may charge you a reasonable fee for sending such paper copies. If you elect to use electronic delivery, you agree and represent that you have a suitable computer with Internet access, an email address and the availability to download, save and/or print communications to retain a record of such communications. You agree that you are solely responsible for maintaining such equipment and services required for online access.